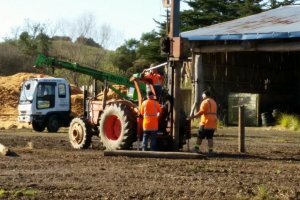 Hautapu Pine carries a large of stock of the commonly used poles and can produce other lengths and diameters to order. We are able to produce poles up to 18m long and 400mm in diameter. All our stock is treated to H5, but we are able to treat to H6 when required. 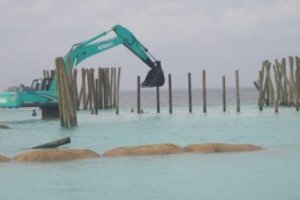 The majority of our production is used in the NZ market, but we do regularly supply poles to the Pacific Islands and have exported to The Maldive Islands several times. 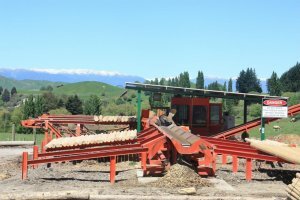 Hautapu Pine prides itself on the quality of its poles. All poles are laid out and individually graded for deformities. 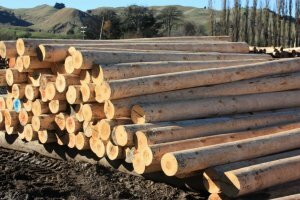 Hautapu Pine poles meet or exceed the minimum requirements of "normal category" poles as specified in NZS 3605:2001 (Timber Piles & Poles for Use in Building).